Pluton Travel & Tours is one of the island’s most capable, organised and knowledgeable Travel Agencies, specialized on honeymoon travel as well as bespoke travel packages. 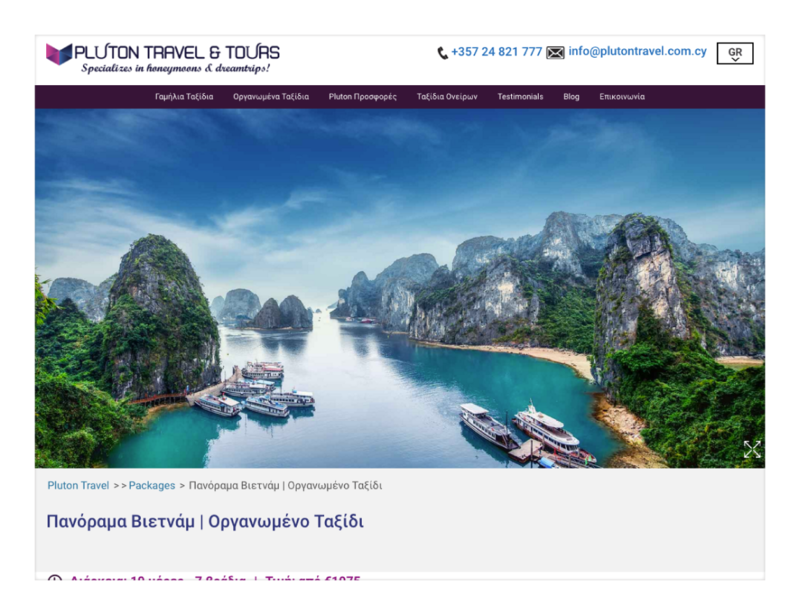 When Pluton Travel & Tours asked us to design their new website, we felt intimidated because this is a company you do not wish to disappoint! This is a company of the highest standards, offering travel packages only after the company has visited all destinations first hand, having approved every little detail before offering anything to their clients. The project run for several months with a lot of challenges along the way. The first challenge was to design a bold, modern and intuitive website, one that would generate extra awareness and higher turnover for the agency. Secondly, due to the sheer size, functionality and complexity of the website, the WordPress CMS had to be heavily customized and still function at speed! Thirdly, we also had to make sure that the entire website’s responsive functionality worked perfectly across the board and on all devices. Extended marketing, as well as Search Engine Optimisation practices, followed in order to promote this website to the highest heights. All in all, we are all proud of the result and feel the need to thank Pluton Travel & Tours for their trust. We wish all the best with your new website.